NCP Scotpark Edinburgh is a low price Park and Ride parking facility located right next to Edinburgh Airport. The car park is secure with the Park Mark certification for safer parking. The car park is located just off the A8 and it takes just minutes to get to the terminal on their free courtesy bus. 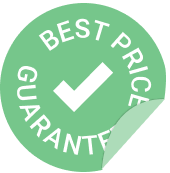 Booking with Edinburghparking.com guarantees you will be offered the very best prices. When you arrive at the car park, your vehicle registration will be recognised. Simply take the ticket that is issued, park your car and wait for your courtesy bus outside the customer services office. When you return, catch the courtesy bus back to the car park customer services office. Get your ticket validated for your exit then return to your car and exit the car park. -Long wheelbase vehicles will not be accepted. -Any overstay amount will be displayed on exit, when you insert your ticket at the barrier. You can then insert your debit/credit card to pay the additional amount. If the barrier arm doesn't raise or is already raised, please press for assistance.